Kathy Ann Coghill. age 57 of Hazard, KY, passed away on Friday, March 15, 2019 at the Greg and Noreen Wells Hospice Care Center. Kathy worked as a dietary aide at the Hazard Health & Rehab Center. She was born on October 18, 1961 to Catherine Williams Campbell and the late Don Campbell. In addition to her father, she is also preceded in death by her husband: Alvin Ray Coghill. 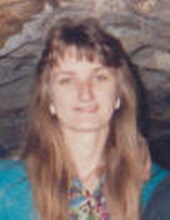 In addition to her mother, she is also survived by one son: Ray Allen Coghill of Hazard, KY; two sisters: Linda Miller & Elizabeth Hurt both of Hazard, KY; four brothers: Ronnie Campbell of Knott County, KY, Bobby Campbell of Big Creek, KY, Randy Campbell of Hazard, KY & David Campbell of Hazard, KY; three grandchildren: Courtney, Dalton & Madison Coghill; as well as a Host of Family & Friends. To send flowers or a remembrance gift to the family of Kathy Ann Coghill, please visit our Tribute Store. "Email Address" would like to share the life celebration of Kathy Ann Coghill. Click on the "link" to go to share a favorite memory or leave a condolence message for the family.